Processing: Taken in CCDSoft v5 using CCDCommandere. Reduced in CCDSoft. Aligned with RegiStar. Combined sub-exposures with Ray Gralak's Sigma Clip. DDP to with custom software. Curves, levels, saturation, unsharp mask, selective blur in Photoshop. This nebula is a bit of dust in space that is reflecting the light from the nearby super giant Rigel in the constellation Orion. 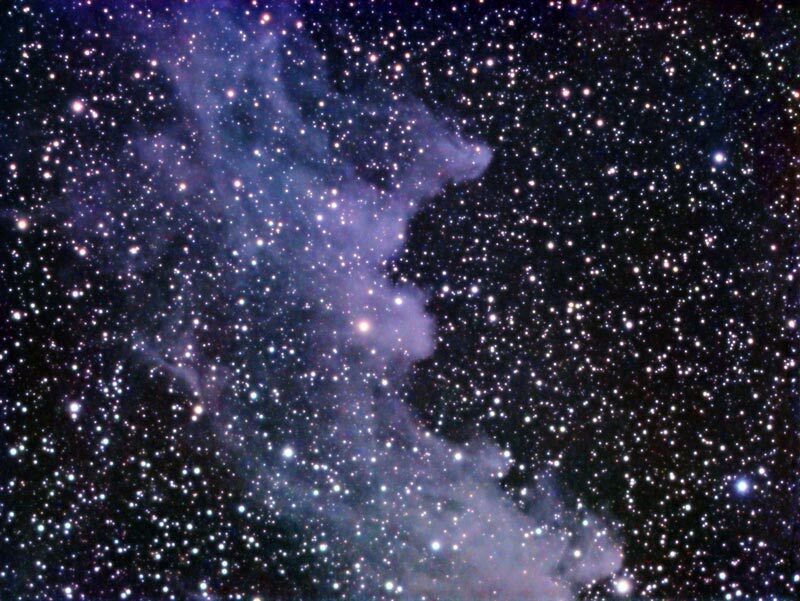 The blue color is caused by Rigel's blue color and also because the dust reflects blue light better then other colors (similar to our atmosphere).